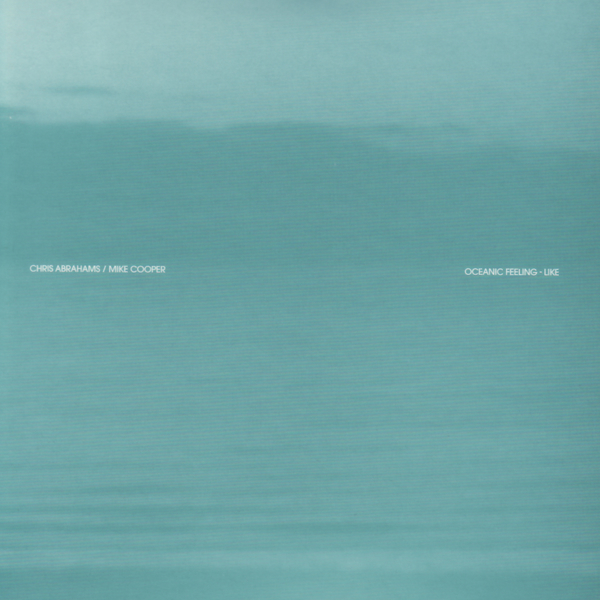 The Necks' pianist, and Room40 soloist, Chris Abrahams teams up with Italian musician Mike Cooper for this ocean-themed collaboration. Abrahams is well-established as a fearsome technician and a veteran improvisor, so you'll no doubt already be braced for his dizzying key flourishes, but Cooper's contributions reap their own rewards. At times his guitar playing takes cues from the improvisational discordance of Derek Bailey, at others he completely warps the instrument via electronic processing, while pieces like 'Surfside No. 2' feature a highly melodious approach, with Cooper maintaining a general sense of structure while Abrahams makes like a realtime Tim Hecker, playing undulating passages that bring to mind the stuttering, granular symphonies of Radio Amor. The most successful passages on the album tend to shun electronics for the most part, and certainly the best sequences on the lengthy 'Memory Of Water' focus on the jumpy arpeggios of Abrahams' untreated piano, with Cooper's guitar strings rasping anharmonically in the background. This record breaks quite radically from the conventions associated with the piano/electronics album: you'll find little in the way of the shy, retiring, melodic ambiguity you might associate with one of the various Ryuichi Sakamoto collaborations, but rather a restless series of instrumental vignettes that owes much of its success to a grounding in the disciplines of free jazz and unrestrained instrumental exploration. Lovely.